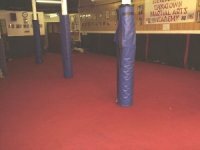 I am often asked by the people in the gym questions such as "Where did you teach before and where did you train in the early years"? 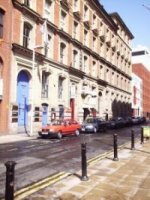 although this is of no interest to the web surfer, it is of interest to the people who train at the Manchester Gym, I have included some photos, more to follow. 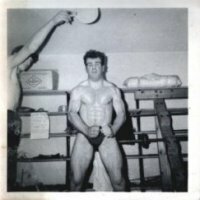 Switched to weight training, 19 years old, just Bench Pressed my first 200lbs. 1964 at "Old Moat School", Withington. Manchester. 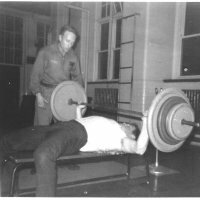 Late 1967 with my Weight Trainer "Ken Podesta" training for the "The Strength Set" Power Lifting Championships, got the "Best Bench Press Award". 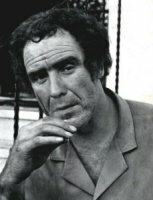 this was taken at "Princess Road School", Moss Side. Manchester. 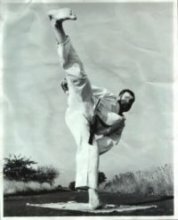 I was using Fractional Relaxation and Autosuggestion to improve my lifting, which involved a lot of Meditation and Visualisation and thought the Martial Arts would hold more for me as regards developing this, but I later found out that most the Instructors I met (1968) only worked on the physical level. 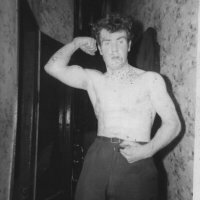 I still keep up the weight training, I was told it was bad for the martial arts, But I stuck to my guns, now it's being used by all Athletes, Mountain Climbers and Astronauts. 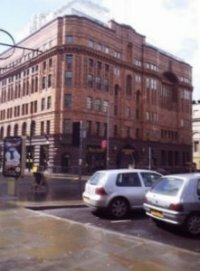 I first started out training in Karate in the Wado Ryu style at Milton Hall on Deansgate, Manchester, this was early June 1968, this is the entrance as it is today. I spent most of the time picking splinters out of my feet and being bawled at. 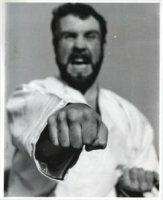 I noticed one of the brown belts had superior technique to the rest (Bill Taylor) and he was opening a class at the YMCA. so I left. 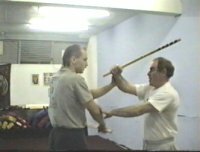 I then moved to the YMCA on Peter Street, Manchester, under Bill Taylor, and in early 1969 we changed over to the Shukokai Style of Karate, I started teaching there late 1969 after Bill Taylor left, and continued teaching until 1984, I used to wake up in the morning and go straight to the gym, go home for dinner, and then return to teach. 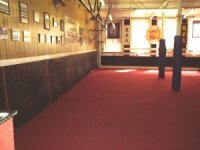 little wonder the gym was full of Champions. 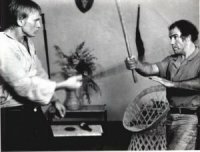 1974, shown here with Sit Bee Wong, a Hai Nam Chuan (Hoi Lam Kune) teacher, these were the times of opening up to other martial arts, I'd always been known to dabble in different arts since reading the Bruce lee articles in "Black Belt" magazine mid 1968 and 1972. 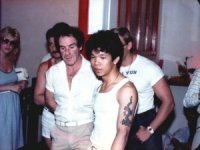 This guy was a regular Bruce himself, phenomenal kicks, and he was blending arts in those days, Hoi Lam Kune, was a family style of Wong's, from Penang, Malaysia and included, Tae kwon Do, Wing Chun, Thai Boxing, and Choy Li Fut, Another mixer of styles at that time was Graham Noble, we had some great times in the YMCA sparring and generally trying to develop ourselves. 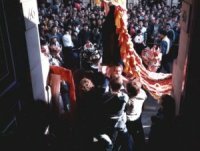 The years in between 1974 and 1984 were spent training in different martial arts, and travelling to and from The Far East for martial arts studies, then I heard that the YMCA was about to close down, what happened next was the best growth years ever, The Chinatown Gym was opened together with my Gung Fu Friend and Brother "San Ping Chan" and the early days of training in Jeet Kune Do with "Rick Young". 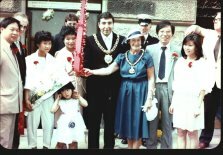 The Lord Mayor of Manchester attended the opening day and Officially opened the Eyes of The Lion, so the lion dance and the opening ceremony could begin, this was one of the most memorable days of my 33 years in martial arts. East meets West! who said "And Never the twain shall meet"? 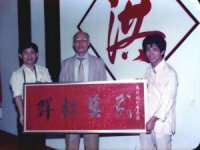 Stood in front of a Banner A Gift from "The Hong Kong Martial Arts Association"
From left to right, Charlie Chan, Chan Loi Chan (Ping's Father) and San Ping Chan. From left to right, Mr. Law law, Chan Loi Chan, (owner of the famous Charlie Chan's Restuarant), and San Ping Chan Myself, San Ping Chan (Alan Chan) and friends. 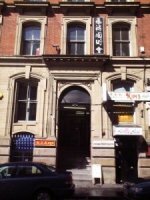 After the celebrations, next door to "The China Gardens"
George Street seen from Nicholas Street. 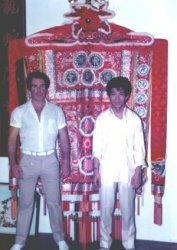 Here's a few photos of myself with Mick Degnen doing a demonstration for "The Chinese Cultural Show" 1982 we were the only Non Chinese and always got invited to special occasions. 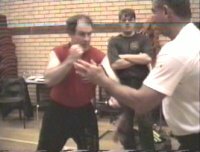 In 1990 I had my first seminar with Dan Inosanto in Glasgow, and met "Rick Young",. 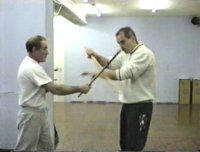 This was the start of the Jeet kune Do beginnings. 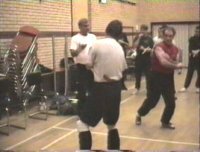 and I owe everything in the JKD world to him, our first seminar with Rick was in my Garden there were only 4 of us, Karl Tanswell, Steve Ullah, Bobby Gervis and myself, and it was the start of many. 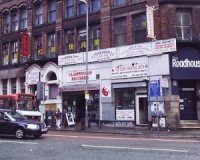 Sadly the Chinatown Gym was closed down in 1991, the building was being converted to luxury apartments, so we moved on to Portland Street, just on the fringes of Chinatown, and Rick Young arranged seminars for me with "Larry Hartsell" and "Rick Faye". 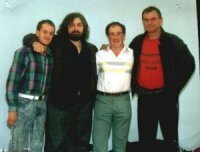 From left to right, Myself, Karl Tanswell, Larry Hartsell, and Rick Young From left to right, Pete Hetrick, (Wisconsin), Kevin Taylor, (Kentucky) and Larry Hartsell. 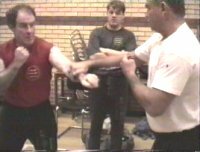 Rick Young and instructors from his gym, they were great times. 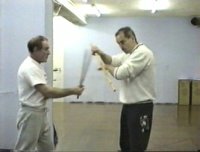 Rick Faye teaching me the finer points of the Hubud Drill. 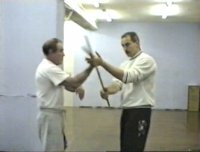 Early 1991, Rick Young taking me through the Box Pattern in the old George Street, Chinatown Gym. 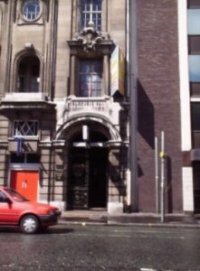 We stayed at the Portland Street gym for a total of 6 years, then the building was up for refurbishment and, we had to leave, our next destination and the place where we are now is Newton Street, Piccadilly. Our new home "12 Newton Street"
Here's a few miscellaneous photos from behind the scenes of films and other stuff. 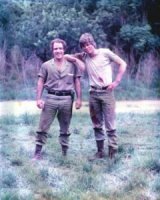 In the African Bush "Tuxedo Warrior"
here`s lookin' at you kid. 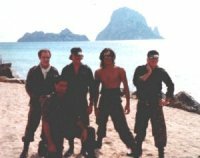 Checking the angles for the fight scenes "The Ibiza Connection"
With Fiona Fullerton "The Ibiza Connection"
Hanging out with the Stunt Guys on the film "The Ibiza Connection"